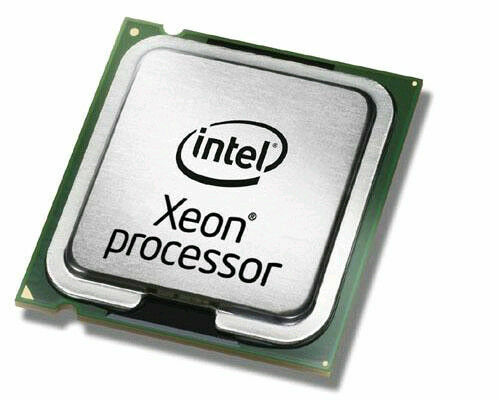 The Xeon E5450 3 GHz Quad-Core processor from Intel is engineered to deliver performance and power efficiency. Compatible with PC systems, the CPU can be installed on motherboards with integrated Socket J slots. For a faster access to the data used most often, this 64-bit Xeon processor features an integrated L1 cache of 32 KB, 3 MB L2, and 12 MB L3 cache size. In addition, the product has the following manufacturer part number (MPN): BX80574E5450A. This CPU breathed new life into an old Compaq dual-core Pentium system. After modding the motherboard and a modified BIOS, I was able to install and boot with the new chip and do a solid install of Windows 10 on a system that shipped with Windows Vista. Going from 2 cores @ 1.86 GHz to 4 cores @ 3 GHz is like going from night to day. HD videos that were choppy and pixelated before are very much playable now. "Xeon inside" is the new sticker that is on the box now. This was a great investment. While old, this processor is still a great budget processor. In terms of processing power, it is similar to the more expensive core i3-4130 and is capable of running almost all modern applications. There are also mods available that will allow this processor (which has a LGA771 socket) to be installed into a LGA775 motherboard. This processor is perfect for anyone looking for a budget pc and who isn't worried about buying previous generation parts. CPU has a great performance on windows 10 64 bit pro. This processor will only work fine if the user modified their bios with the xeon microcode. Motherboards tested. MSI G41M-P26 Gigabyte G41MT S2PT Rev 1.0 Asus P5KPL-AM SE Rev 2.00 Does not work C0 version is frozen in windows 10. Processor with unstable operating system. It may be a problem with the G31 Chipset or MOBO. Regards. Used to upgrade a HP Proliant DL380 G5. The processors work as expected and perform well for being used for a VM test environment.